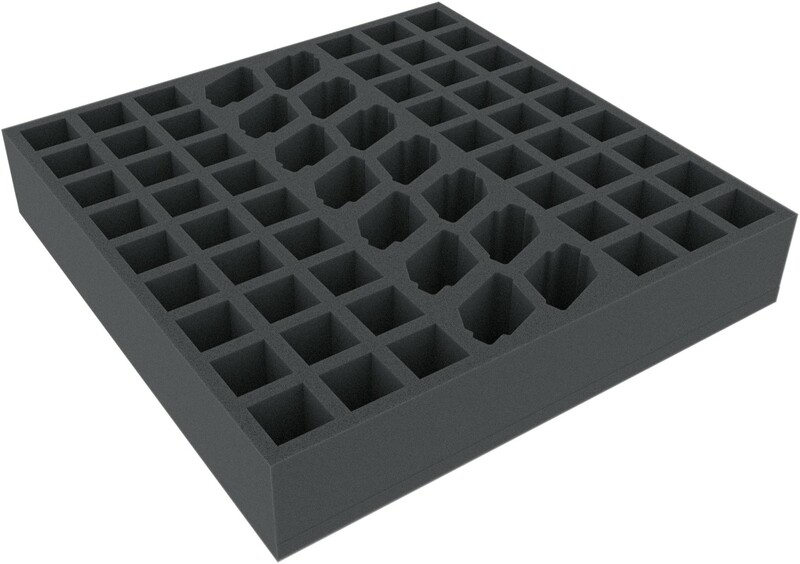 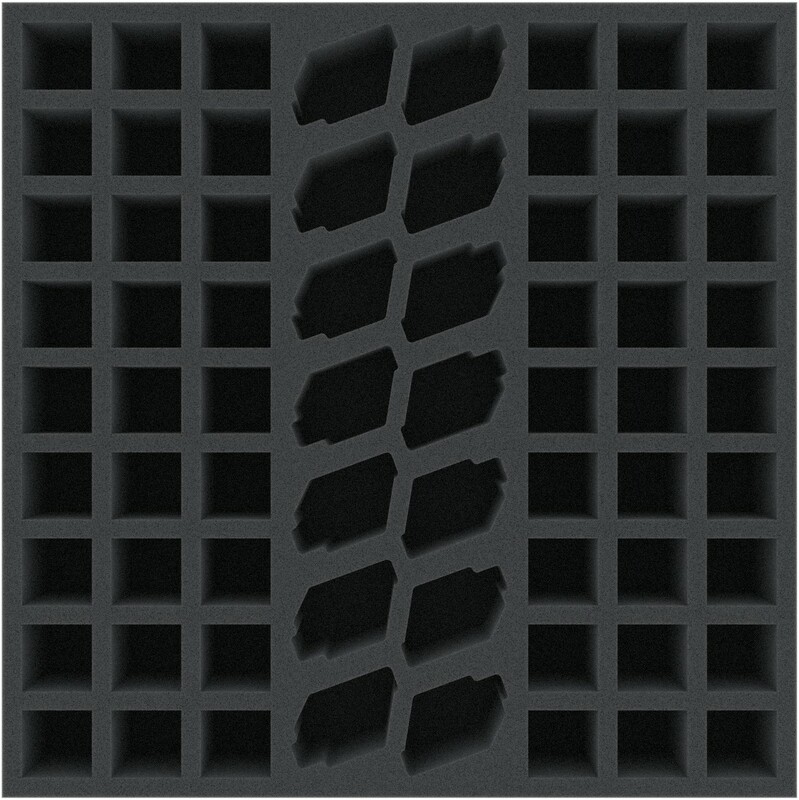 This foam tray is divided into 68 compartments of two sizes. 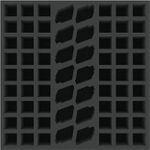 It is best suited to stowe smaller miniatures or game material. It fits into many original board game boxes.